Luxury Toronto hotel in the exclusive downtown Yorkville neighbourhood. Steps away from high-end restaurants, boutiques and art galleries, as well as the University of Toronto and major museums such as the Royal Ontario Museum. 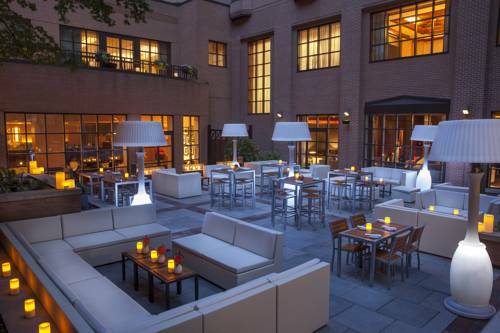 Superior facilities include an award-winning restaurant, Signatures; exclusive and newly renovated vodka bar, Proof; and a fabulous outdoor patio, SkyLounge. In the heart of downtowns business and entertainment districts, the Sheraton Centre Toronto Hotel is connected to PATH, a 16-mile underground network of shops and services. We are steps from the Eaton Centre shopping mall and Torontos convention centre. Experience a fresh kind of classic. A 2.5-acre waterfall garden atrium highlights our new lobby. Newly renovated ballrooms and meeting spaces total more than 120,000 square feet. Savour some of the citys best burgers and comfort food at BnB. Each of our 1,371 modern guest rooms and suites offer the plush comfort of our Sheraton Sweet Sleeper Bed. 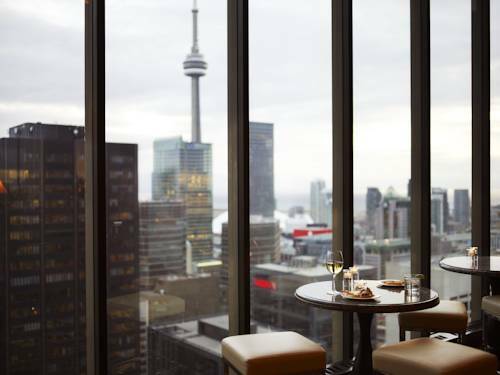 Sheraton Club Rooms offer another level of service with an array of upgraded amenities and access to the stylish 43rd-floor Sheraton Club Lounge. 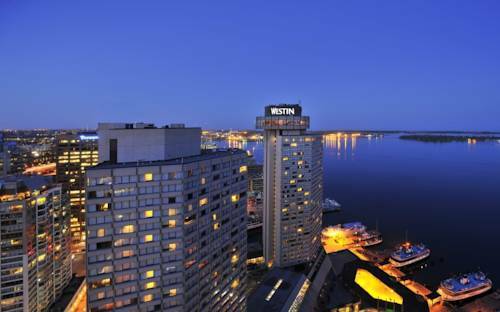 The Westin Harbour Castle, Toronto is a 977-room twin tower rising 38 stories above scenic Lake Ontario, and is conveniently located near major attractions, including the Air Canada Centre, CN Tower, Financial and Theatre districts. This CAA/AAA Four Diamond Award hotel has easy highway access and is less than 30 minutes from Lester B. Pearson International Airport. Once inside, you will marvel at the spacious marble lobby, with floor to ceiling windows. Enjoy the WestinWORKOUT Gym, outdoor tennis court, indoor heated pool and whirlpool. Escape to one of our beautifully appointed guest rooms and suites, complete with revitalizing amenities. Enjoy a restful sleep in our signature Heavenly Bed, and invigorating morning shower in our Heavenly Bath. Toronto is a city that has grown up around this grand landmark, The Fairmont Royal York luxury hotel. Just steps away from our famous doors in the heart of Canada�s largest metropolis is an exciting mix of activities and attractions that will leave you exhilarated. From the theater, entertainment and financial districts, to shopping, sightseeing, and world,class sports facilities, The Fairmont Royal York hotel truly is �at the center of it all� in Toronto. 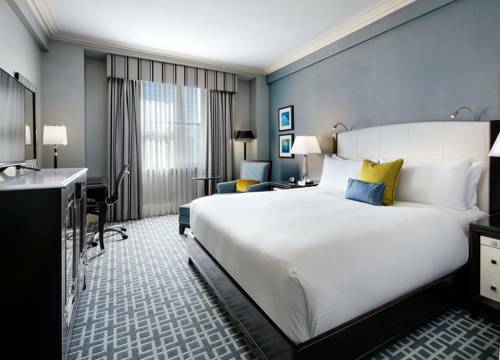 Whether you�re here for a meeting or simply to relax and take in the sights, this landmark hotel in Toronto has everything you need. Luxurious surroundings, refined guest rooms and suites, a knowledgeable Concierge, and even a fully-stocked Business Center, The Fairmont Royal York is the ultimate downtown Toronto hotel. A model of graceful Canadian elegance, Le M�ridien King Edward has hosted visitors to Toronto for over 100 years. 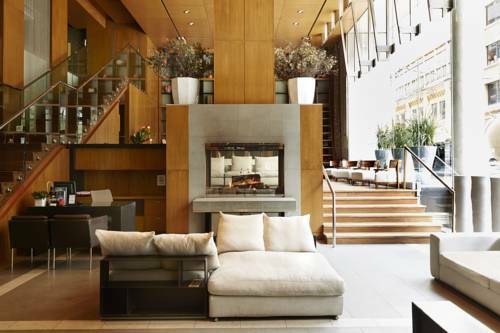 Nestled in the financial district in the heart of the city, the hotel upholds its commitment to traditional hospitality with sleek modern sensibility. The 298 spacious guest rooms and suites boast old-world, turn of the century charm combined with sophisticated comforts: exquisitely comfortable beds, elegant d�cor in homage to a proud history, and luxurious bathrooms featuring powerful showers and soothing bath facilities. The centre of Canadas Golden Horseshoe, Toronto is the cultural and financial hub of the country, drawing more international visitors each year than any other Canadian city. Le M�ridien King Edward provides easy access to some of the most famous sites in the city, including the Rogers Centre and the Harbourfront. A varied selection of theatres and shopping venues also surround the hotel. Luxury refinement and sophistication combined intelligently offer you the ultimate red carpet treatment. This is paradise rediscovered a veritable symbiosis of exaltation and cocooning. Glass metal wood ceramics -the decor is understated yet cozy inviting the senses to a unique experience. Think only of yourself feel at home and be pampered. The end of the day brings the crowning touch - plunge into a sea of soft down pillows and feathered comforters for a night of well deserved relaxation. Escape to The Westin Prince, Toronto, featuring the unique combination of resting on 15 acres of magnificent parkland while maintaining easy access to all Toronto has to offer. The only hotel in Canada to have won the prestigious AAA Four-Diamond Award for 32 consecutive years, we are proud to offer excellence in service and facilities. Featuring tennis courts, a seasonal outdoor pool, and wooded walking paths, guests have a variety of outdoor activities from which to choose. Reenergize at our WestinWORKOUT Gym. Be sure to experience the continental or Japanese cuisine, as prepared by award-winning chefs in any of our three on-site restaurants. Enjoy a beautiful view of the Toronto skyline or surrounding park from one of our guest rooms or suites. Find the height of relaxation with our signature Heavenly Bed, promising a restful sleep. Revive with our Heavenly Shower and Bath.